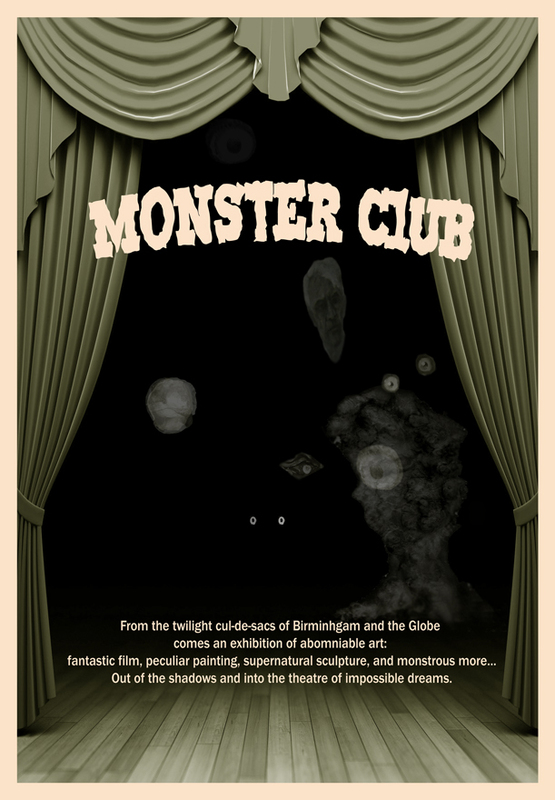 Monster Club is a visual art exhibition of Monster themed work. The monster makers come together from Birmingham and Loughborough, London and Kolkata. They include regional, national and international artists, current students and recent graduates. The exhibition also includes the work of a diverse group of young artists aged 8 -16 from a local art club run by Friction Arts. MONSTER CLUB is funded by A Grant for the Arts, Arts Council England and supported by Friction Arts and The Midlands Industrial Association. Posted in Friday 7 NovemberBookmark the permalink.